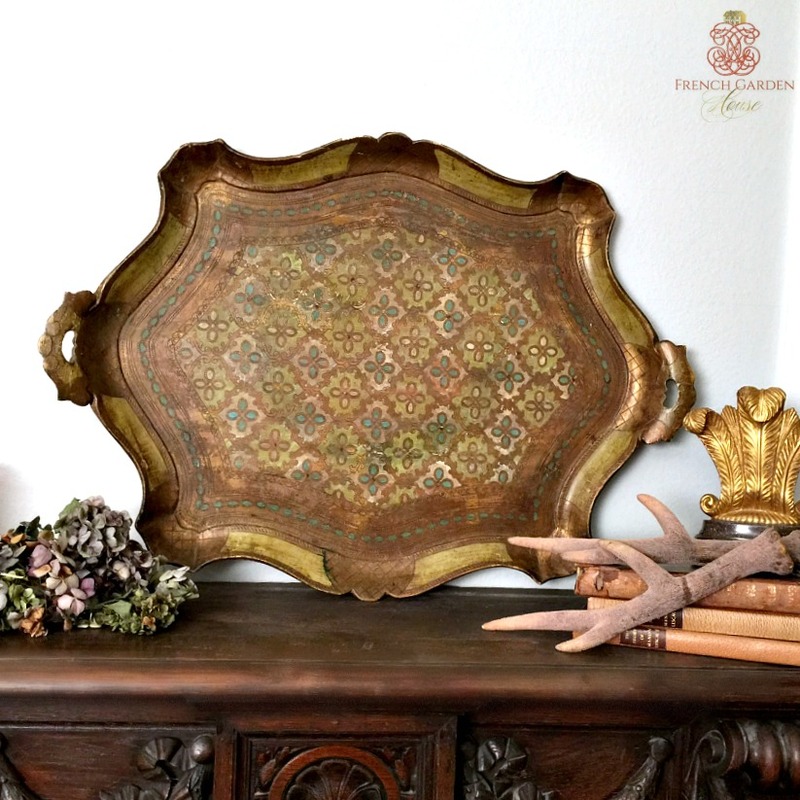 Exquisite Florentine Tray in an exceptional extra large size, made by the master craftsmen in Firenze, or Florence, Italy long ago. The decorative tray has gold gilt over gesso, and hand painted detailing in Cream, Gilt and Venetian Green. Bought on a recent buying trip to Europe, a collectable addition to your Florentine wood collection. Makes a great drinks tray to display for the holiday entertaining season, place this on an ottoman to create a gorgeous table. Wear and patina as shown, this is an older tray quite rare and almost impossible to find, the wear is desirable.